The Autosomal Me is a series I’ve been writing on my www.dna-explained.com blog. 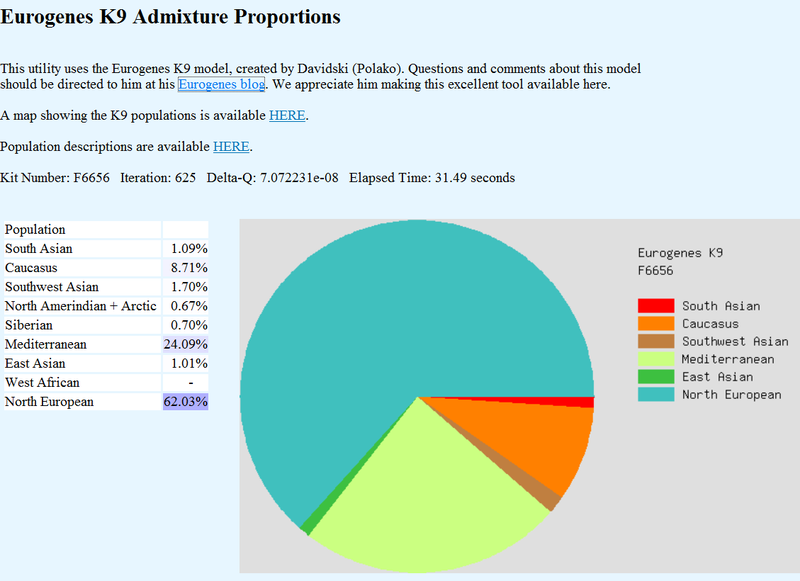 It is, step by step, tracking the tools I’ve used to identify my Native and African minority admixture and we’re working towards figuring out which lines, specifically, carry and contribute this admixture. It’s much like reassembling an ancestor puzzle, except with no picture on the box lid! I’m writing this in enough detail (yes, excruciating detail) so that others can use this exact technique themselves. Today’s entry shows how to use free third party tools to ferret out minority ancestry beyond what the testing companies themselves show. I hope you’re following along and will find some of your own minority ancestors. This technique could go a very long way to reassembling Native families so torn apart during the assimilation process. The culture may have been lost in many cases, but the genes are not, at least not entirely, and we can use them to glue together what has been broken. The more family members who test, the more information we have to work with. It’s our gift from the ancestors themselves. If you want to take this kind of autosomal DNA test, the best testing strategy today (March 2013) is to order the test from 23andMe for $99. When the test is complete, then download your raw data file and upload it to Family Tree DNA for $89. This way, you get two sets of matches and two sets of ethnicity percentages, so you get to fish in two ponds for less money that testing directly at Family Tree DNA. If you want to be able to use these tools, do NOT test with Ancestry as they do not allow you to download your raw data results, so you have no tools to work with. Thanks Roberta, I have been wanting to do this for a long time but just too confused to know which test and who to go with. I have searched for recommendations but got nowhere. Finally someone is stepping up to the plate to guide us in how to start. THANK U, THANK YOU, THANK YOU! Waiting for my test as we speak! So excited to see what comes of it! Have my Paternal Markers from the Men side of my tree! Now just to see what come of it from my end! I know that when you are building your family tree one wrong person and your tree ends up way off course or coarse (not sure which one is correct Lol). Curious to build a DNA tree to compare it to!